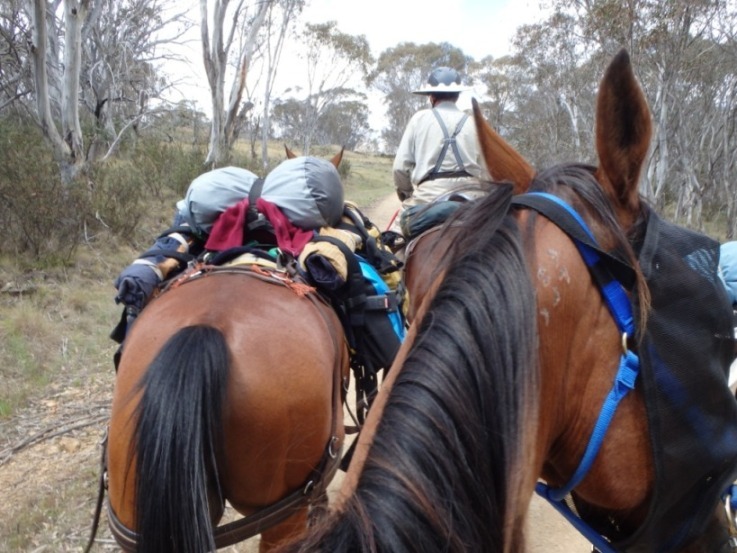 Our horse trek through the Australian bush had the foundations of freedom and independence. 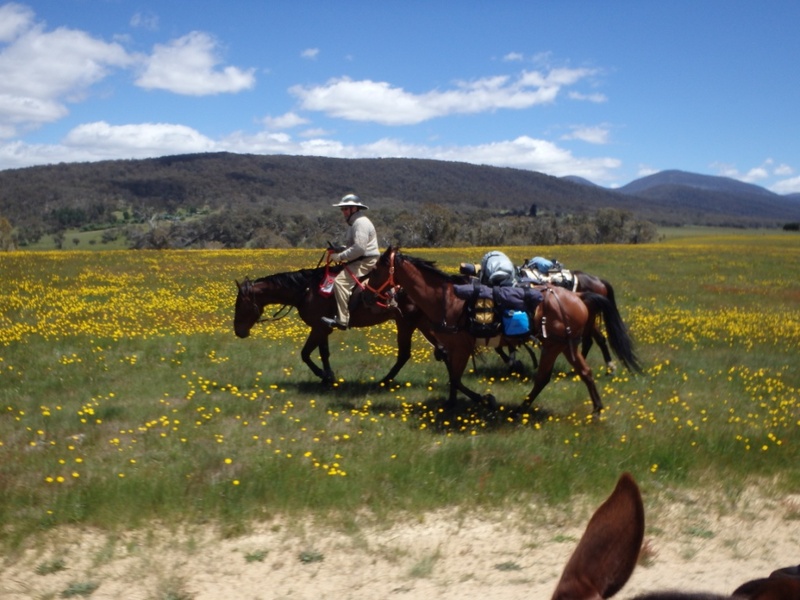 Not only were our five boys barefoot but they were bit-less too, i.e.we rode in rope halters – the packing horses were led via halters too. (You can read more about that here). We encountered not one problem with this ethos, except more road work than we envisaged and, therefore, more use of the boots. The bit-less idea worked beautifully. Although I did purchase a specific halter with more leverage for Charlie and his ‘suitcase-sized’ head that he put to good use when he spotted juicy grass! Charlie, in his halter with extra leverage! I didn’t carry out endless research on barefoot riding, it just seemed to make sense. So, I was intrigued to recently read Linda Chamberlain’s A Barefoot Journey: The story of one woman’s fight against horse shoes. Linda’s true story is about her fight against horse shoes. She feared metal shoes were harming horses. In this light-hearted account she tells how she battled with her farrier, coped with derision from other riders and saved a horse from slaughter. Mistakes, falls and triumphs are recorded against the background of a divided equine world which was defending the tradition of shoeing…with prosecutions. 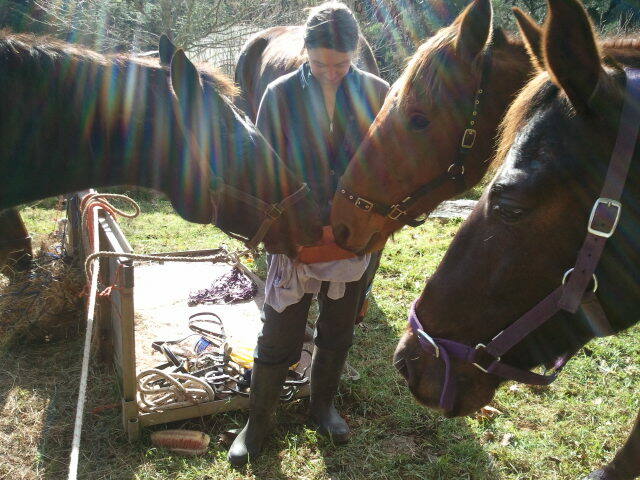 We fostered an incredible bond with our boys (five Standardbreds) and I now believe the start of that remarkable journey was removing their shoes as soon as they came to us. Here’s the review I have written for Linda’s book. Her book’s on Amazon, here. 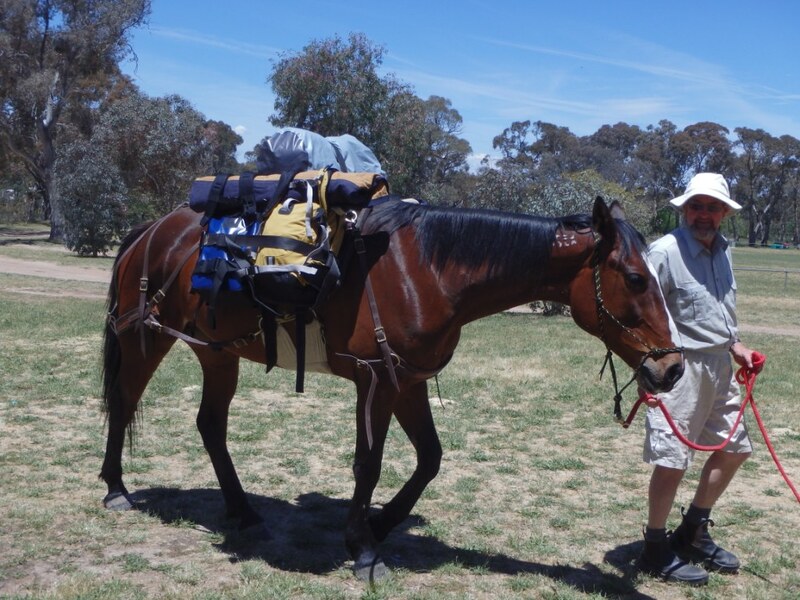 A true story combining her experience and the technical proof that barefoot is what, as horse lovers, we all should be doing. My boys’ shoes were removed as soon as they got to us. Truly, though, I didn’t understand the magnitude of the damage shoes can do. I wanted them barefoot for the trail riding we were doing – we didn’t have bits in their mouths either, the journey was all about freedom. But it’s logical when you think about it. That’s why her friend at the hospital in the story got it. 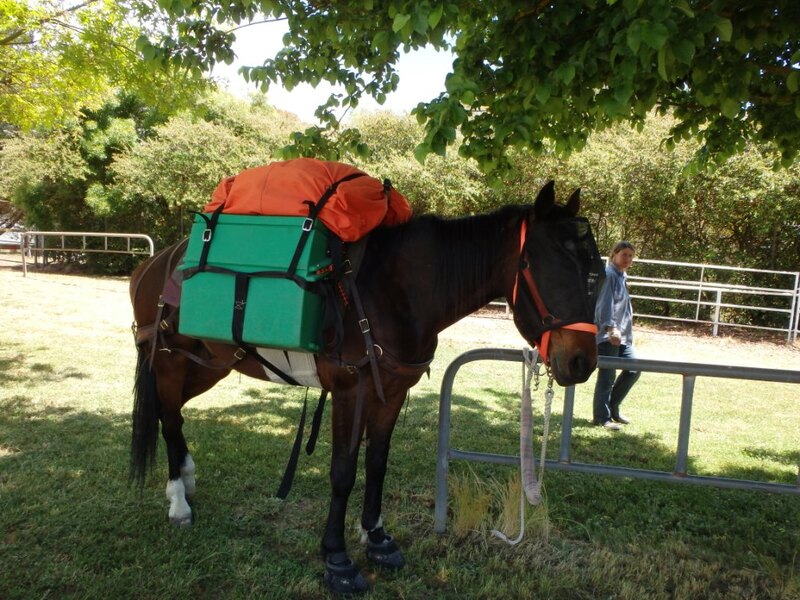 He didn’t know anything about horses, but the barefoot care made perfect sense to him. As well as passionate about horses, I am passionate about sailing. For many years I was barefoot on a boat, for weeks at sea. My feet actually got bigger, they spread, they became tougher – horses’ feet are the same – they’re flexible, not a lump of nothing at the end of their leg. But my knowledge extend to the depths of Linda’s I am embarrassed to say. I, too, had horses shod when I was younger. Linda’s story is clever in that you learn along with her. She states the believers and the non-believers case. She doesn’t hold back when she encounters problems in her quest to have all her horses barefoot. 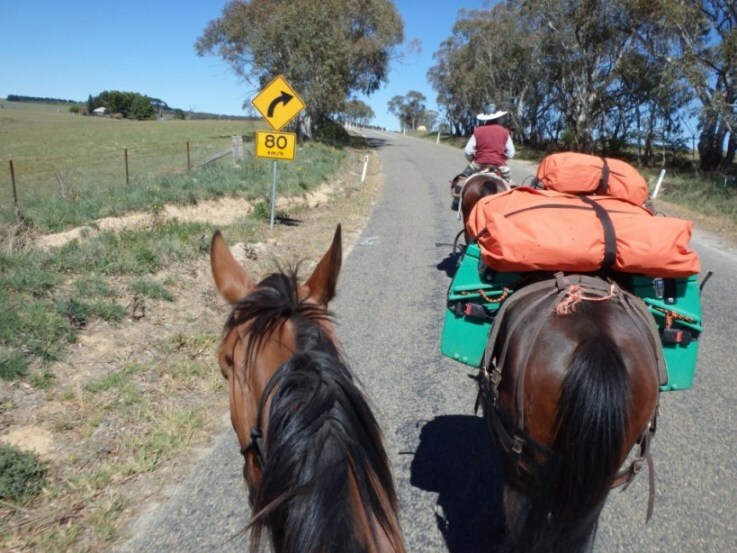 Told with searing honesty, some humour (I giggled at Linda’s antics falling off), and technical explanations -simply written, so they don’t put your head in a spin – this is a must read for anyone with horses or thinking about getting one. It’s also for any animal lover and people who just like to hear tales of people doing the right thing – even if it means sleepless nights, a possible jail term, and wild nightmares. Thank you Linda, you’ve made a controversial subject so plain and simple to understand. This story was told over fifteen years ago and I know the industry is far more open now – but I also know there are some people still against it. It’s a story that’s still relevant today and will be for a long time to come. Linda’s second book – which I’ve just purchased! 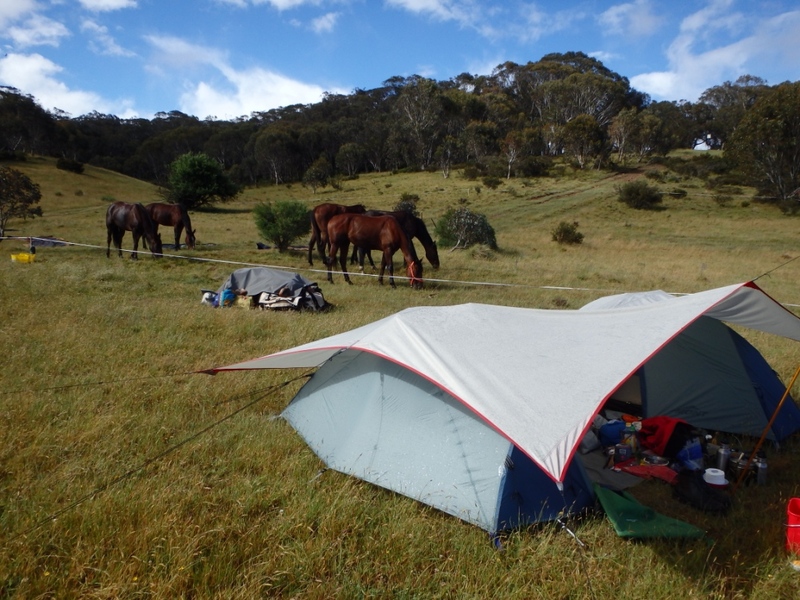 Categories: Blog, On the hoof | Tags: adopting horses, australian bush, bad feet, barefoot horses, care of horses, farriers, horse books, horse feet, horse shoes, shod, shoeing, trail riding, vets | Permalink. ‘You don’t need all that gear, look what motorcyclists take.’ I was shown two small panniers, not much bigger than handbags, hooked on the back of a bike. 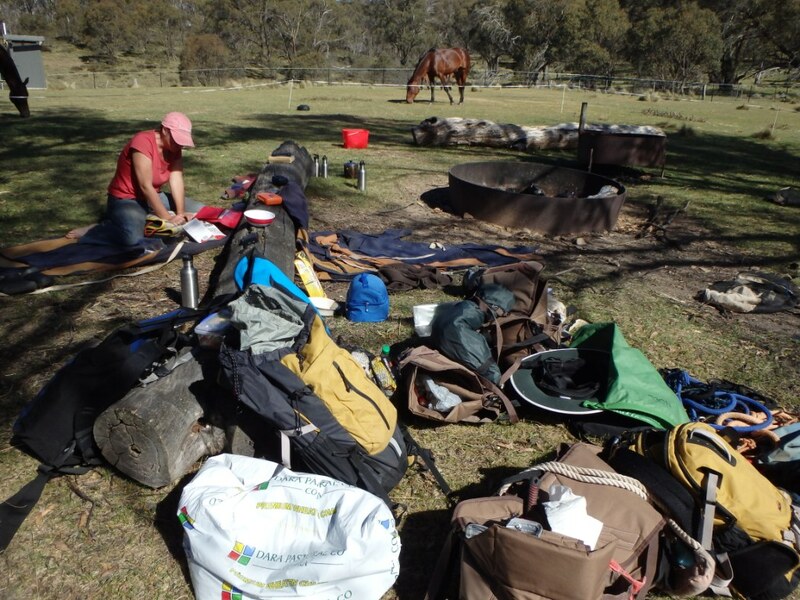 This is one of the comments I’ve received on the equipment we carried when we trekked in the Australian bush with five horse; it’s all listed out in the back of the book A Standard Journey, or you can see it all here: via pictures. 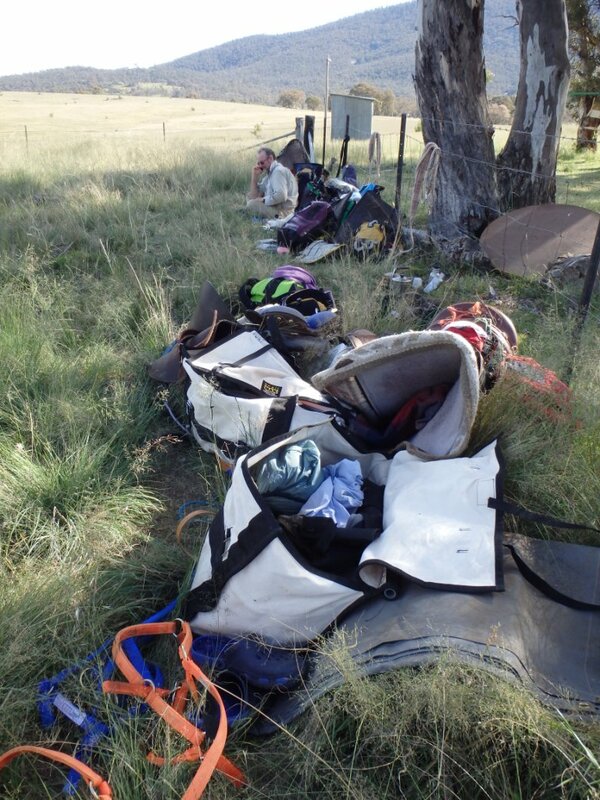 Mid journey, this was after we had whittled down the equipment even more – bare necessities here! For a start, if you are camping out with your motorbike and you need something, you can hop on your bike and speed off at 80 km to the nearest shops. You can’t do that on a horse that’s just trekked for six to eight hours carrying your world possessions and you! 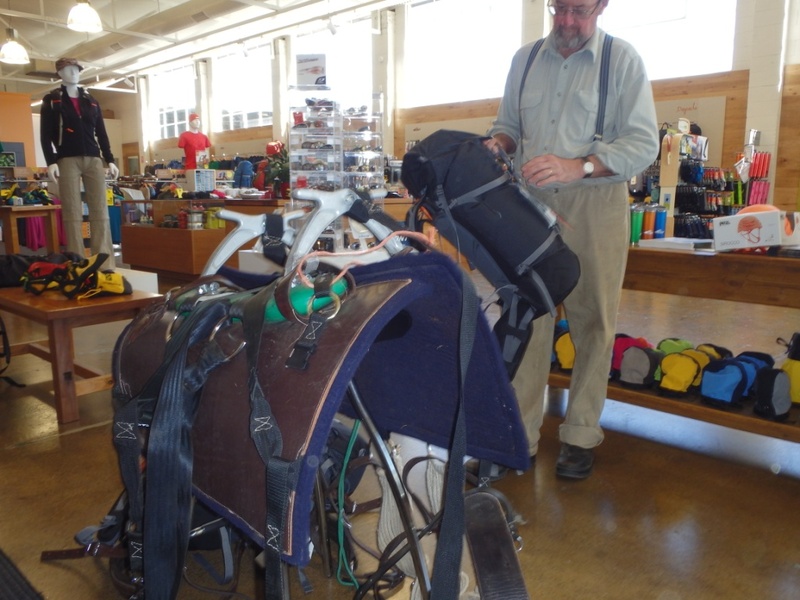 Secondly, bikes don’t need feeding, grooming, first aid, rugs, boots, saddles, saddle blankets, fencing, electric fence equipment, water buckets, nose bags… and on it goes. 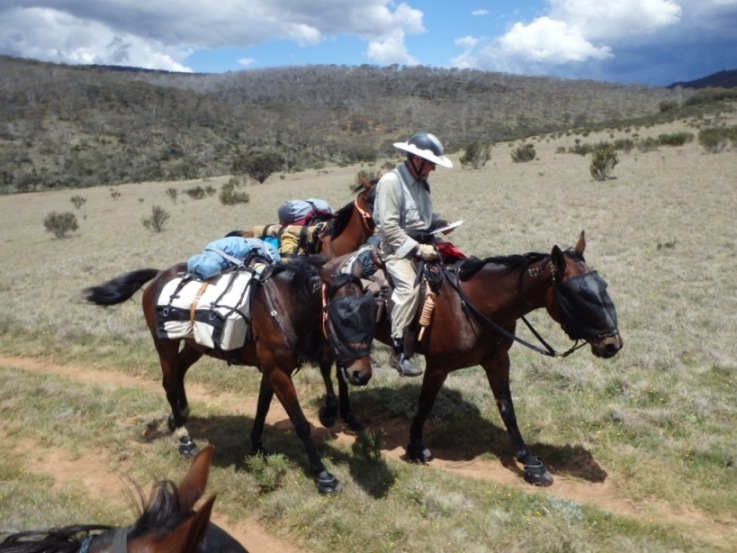 I’d say fifty percent of the equipment comprised saddles (riding and pack – five in total) saddle blankets, halters and reins. You can’t get very far without any of this. That leaves ten percent for Noel and I. That’s five percent each for clothes, food, cooking gear, first aid kit, tent and… well that was pretty much it! We made comprises and worked harder than we ever did in our entire lives. But there were great rewards, we had one mobile phone for emergencies and ninety percent of the time that had no signal. We had no internet, no car to run, no office to sit in. 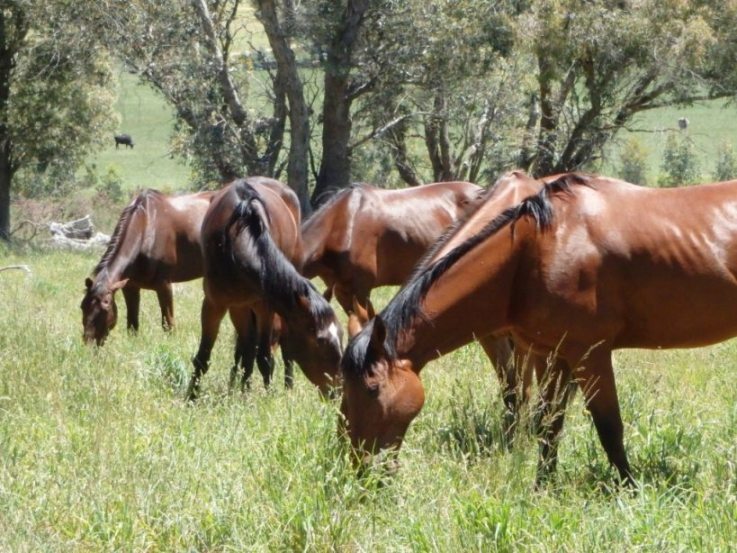 What we had was nature, freedom and five of the most incredible horses you will ever read about. 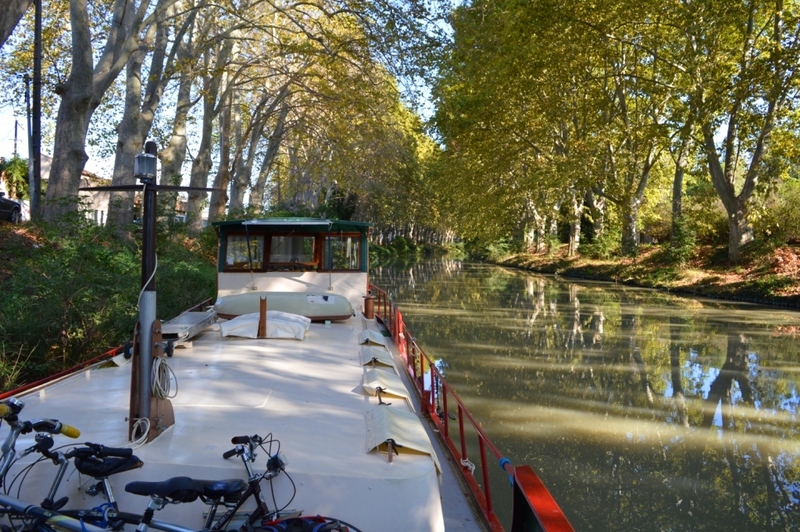 Take a look at our photo album of our trip and if you’d like to read the story, here’s the link. You can read an excerpt first if you want…. then the reviews. I donate fifty percent of profits to horse charities, here’s a website on A Helping Hand for Horses. oh and BTW, I’ve just reduced the ebook price. 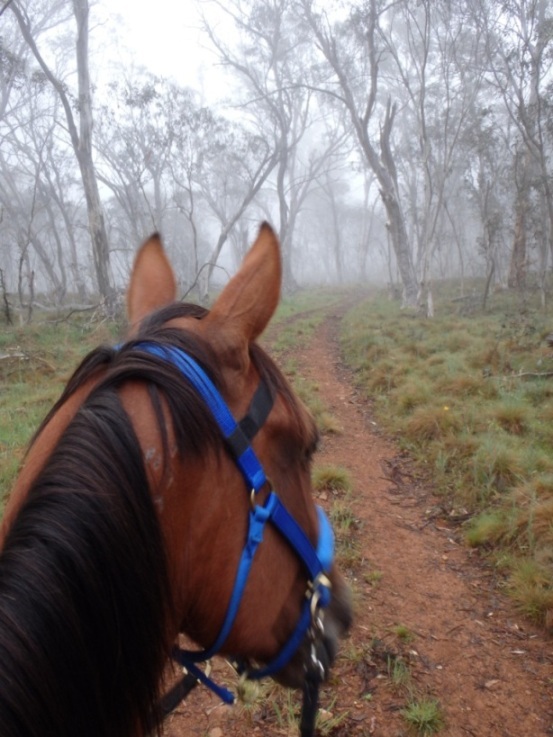 Categories: Blog, Life's Little Escapades, On the hoof | Tags: freedom, horse trekking, horseback adventure, living freely, our travels, riding escapade, saddles, trail riding, travelling | Permalink.